Published as part of the Manchester University Press series dedicated to British filmmakers, Peter Marks’ Terry Gilliam opens into a critical debate over national cinema and identity. For the Minnesota-born Gilliam, his classification as a British director is one that, as Marks insists, “has to be argued for rather than merely assumed” (2). Despite moving to the United Kingdom in the 1960s, Terry Gilliam occupies an indeterminate position between the British and American film industries, a status reflected in his filmmaking. As Marks elaborates within his introduction, the understanding of Gilliam as a British filmmaker is further problematised by the fact that many of the films he’s made since taking out UK citizenship in 1988 (The Fisher King [USA 1991], Twelve Monkeys [USA 1996], Fear and Loathing in Las Vegas [USA 1998]) are, he rightly points out, “his most ‘American’ works” (2). While Marks returns to the issue of satire in Gilliam’s later film work (Jabberwocky [UK 1977], Brazil [UK 1985]) he uses his analysis of the animations to return to one of the publication’s key recurring themes: Gilliam’s representation of reality. Referring to Gilliam’s signature cut-up technique, Marks notes how “the cut-up images have a reality of a different order from that of traditionally drawn cartoons, and Gilliam repeatedly toys with the interplay of these levels, or types, of ‘reality’” (23). 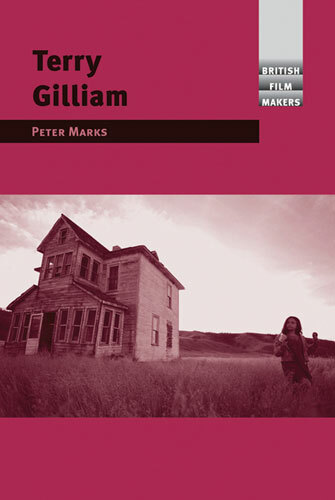 The subsequent chapters are similarly grounded in an exploration of Gilliam’s distinct visuals, a style that has occasionally been stymied by other creative figures. Recalling Gilliam’s frustration with director Terry Jones while working (as animator/designer) on Monty Python’s Life of Brian (UK 1979) Marks argues that in terms of his “career as a filmmaker” the film “was a backwards step from Jabberwocky” (58). These types of creative conflicts together with issues over financing and marketing persist throughout Gilliam’s later projects. Marks relates how the promotion of Time Bandits (UK 1981) in Britain using Gilliam’s Monty Python associations (a strategy the director resisted) “meant that the film did not reach much of its target audience of children and it did poorly at the box office” (79). Likewise, Marks describes how the director’s well publicised clashes with Universal executive Sid Sheinberg over the American release of Brazil “made other American studios wary of him” (103). This industrial context is key to Marks’ study of Gilliam. Rather than approach the director’s filmography through the lens of philosophy or specific cultural theory, Terry Gilliam explores the filmmaker’s work through a balance of textual/technical analysis and a discussion of the various influences that have shaped Gilliam’s career. And while Marks rightfully asserts in the opening line of the publication that, “An illuminating book could be written on the films Terry Gilliam has not made” (1), this is a detailed and engaging place to start.